Spyglass is our new luxury townhome community with so much to offer- including a community pool! 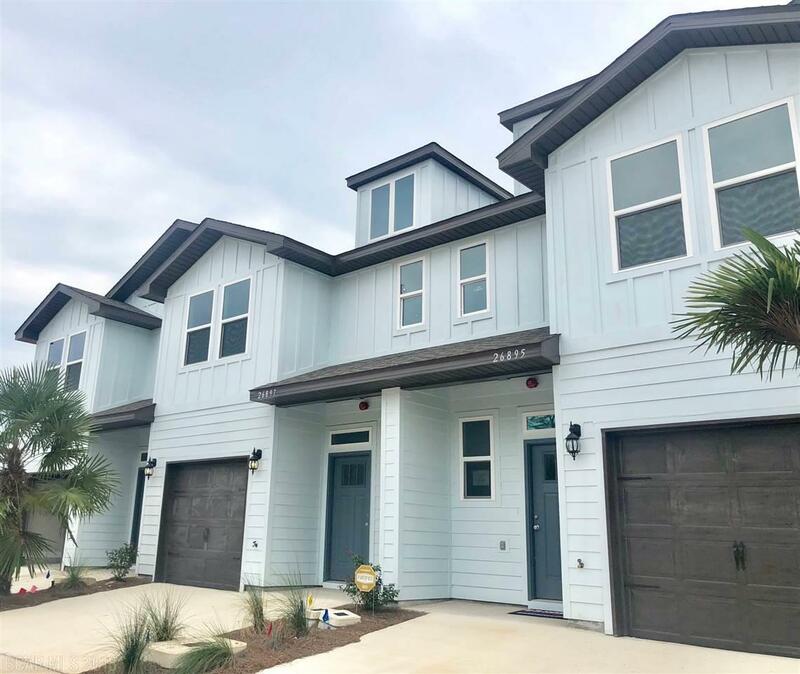 These beautiful townhomes feature hardwood flooring in the main living areas, tile flooring in bathrooms, wood stairs, decorative metal stair trim, tile shower in master bath, granite countertops in the kitchen and bathrooms, and so much more! The floor plan offers the perfect combination of living space and a convenient Orange Beach location. You are minutes from dining, shopping, outdoor activities, and the beach. Comes with a 1 year warranty and 10 year structural warranty. * This home is being built to Gold FORTIFIED HomeTM certification, which may save the buyer on their homeowners insurance. (See Sales Representative for details.) **This home features our Home is Connected (SM) Smart Home Technology, which includes control panel, doorbell, smartcode lock, two smart light switches, and thermostat, all controlled by one app. (See Sales Representative for complete details on these smart home features.) Townhome Unit is complete. Call for a showing today! Don't miss out on this amazing location and price point! * Pictures are of similar townhome unit and not necessarily of subject property, including interior and exterior colors, options, and finishes.